Wa(bbnz) is on the drum machines and dj mechs on the wheels of steel. 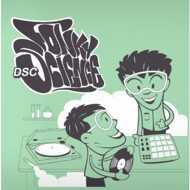 "Fonky science" is our debut LP specializing in jazzy beats with a boombap-chill essence and funky mechanical cuts. Sit back relax and enjoy..ONE LOVE!